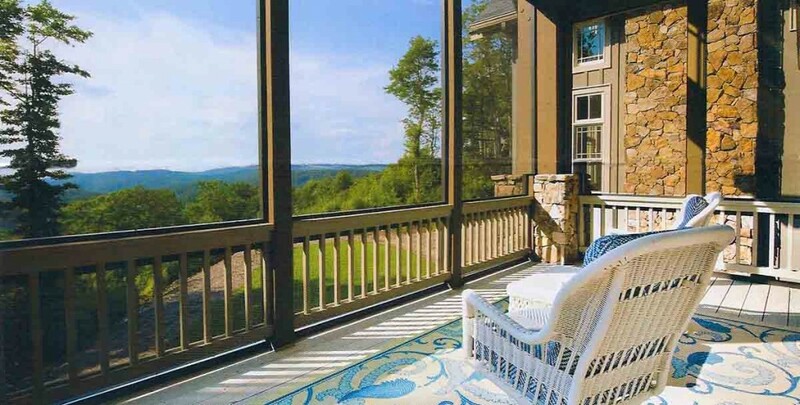 Arts and Crafts Architecture Masterpiece photo of the built project by residential architect Rand Soellner Architect: Highlands NC architects, Cashiers NC architects. 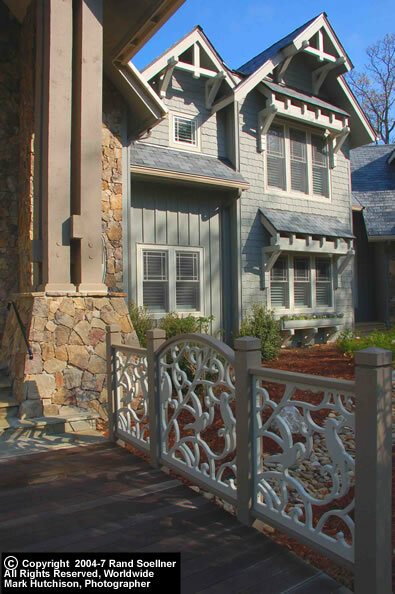 Arts and Crafts Architecture has a special appeal for people from the north Atlanta / Buckhead area. They like things like Keeping Rooms (a special sitting area near the kitchen as you will see below), and the special timber details with the Arts and Crafts style of residential design. Arts and Crafts Architecture project color rendering created Before construction, during the custom home design phase, by Rand Soellner Architect, (C)Copyright 2004-9 Rand Soellner, All Rights Reserved Worldwide. 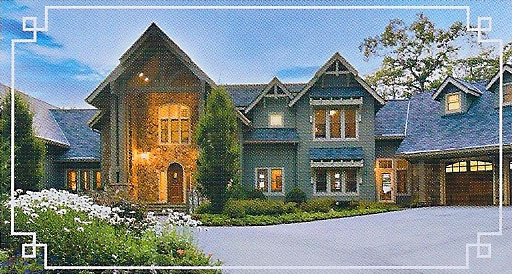 This European-inspired Arts and Crafts architecture has 5,400 square feet of heated area and about 8,000 gross square feet. 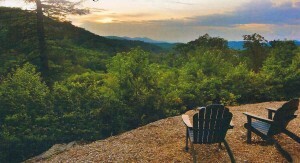 It has long, layered mountain views. The Terrace Level has a home theater, storage and mechanical space. The Main Level has the Master Suite, Foyer, Great Room, Library, Master Study, Pantry-Laundry-Gear-Pet Room, Outdoor Living Room and Garage. The Loft Level has an Exercise Room, Gallery, three bedroom suites, a second study and storage. 6,113 heated sf, 7,844 sf gross. A wonderful formal home for those who prefer more separate spaces in their home. Main level: 3,494 sf heated. Oversize Master Suite with Master Bedroom 1, Walk-In Closet 1, palatial Master Bath with his and her vanities, large central whirlpool tub, large windows to views outside, Master Study. Large formal entry Foyer, large Kitchen with oversize granite island with Keeping Room and Breakfast area open to Kitchen, Grand Hall (living area) with room for baby grand piano, Dining alcove that projects out as a bay with a turret roof, large stone fireplace, Outdoor Living Room, 2 car oversize garage, entry porch-bridge, exterior waterfall feature around the entry side and around home to the rear terrace level at a waterfall splash pool. Drawing status: Construction documents done. 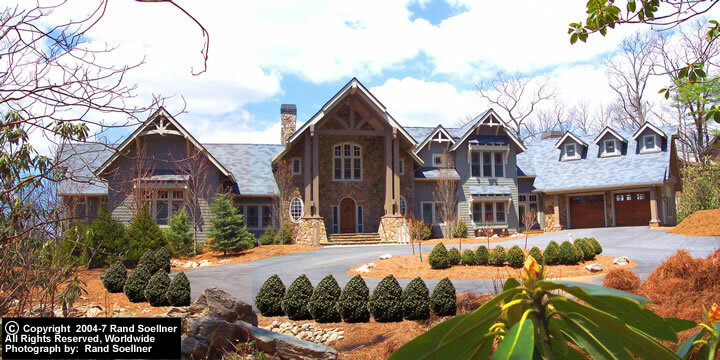 This Arts and Crafts architecture home has been built in Highlands, NC. 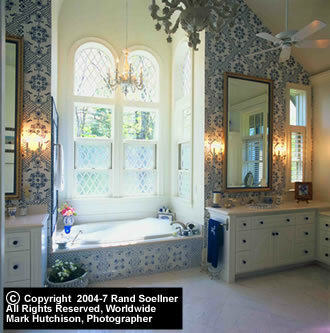 Rand Soellner Architect: Art and Crafts Architecture. Master Bathroom. 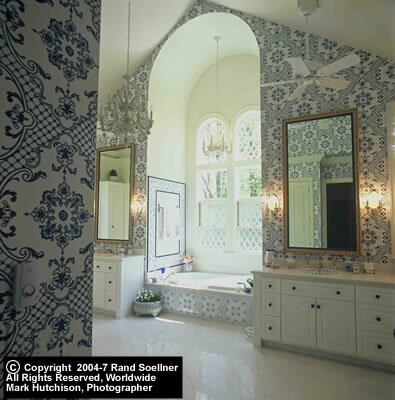 Rand Soellner Architect, Arts and Crafts Architecture. 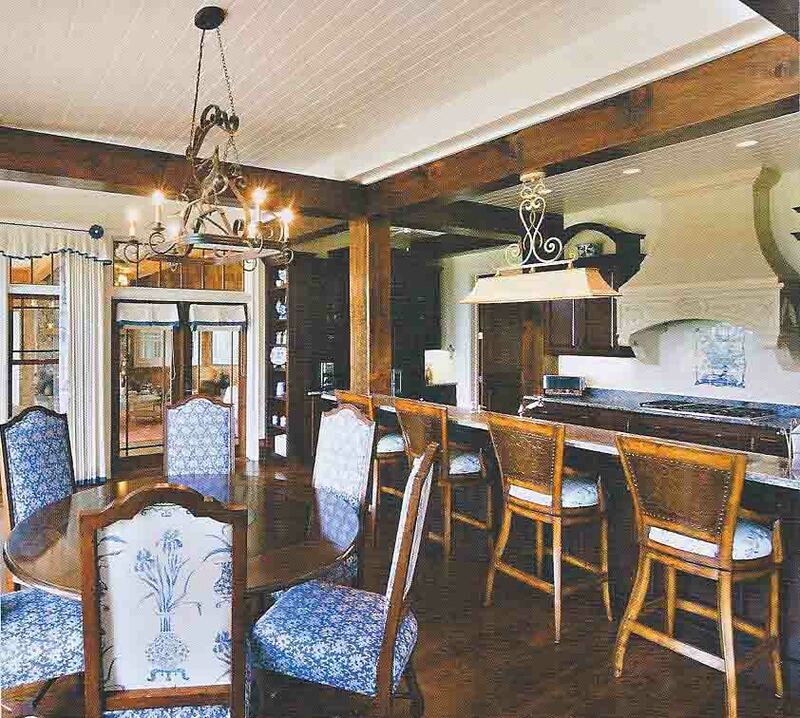 Ravenel Ridge home designed by Rand Soellner Architect: luxury residential architects, timber frame architect. Library Entrance designed by Rand Soellner Architect: timber frame home design, castle homes architect, post and beam architects. Hearth Room designed by Rand Soellner Architect: custom home design. 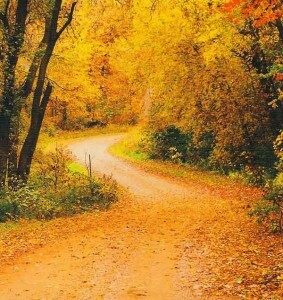 Colors reflect owner’s preferences. Kitchen designed by Rand Soellner Architect: residential architects, timber frame architects. Arts & Crafts Bedroom. 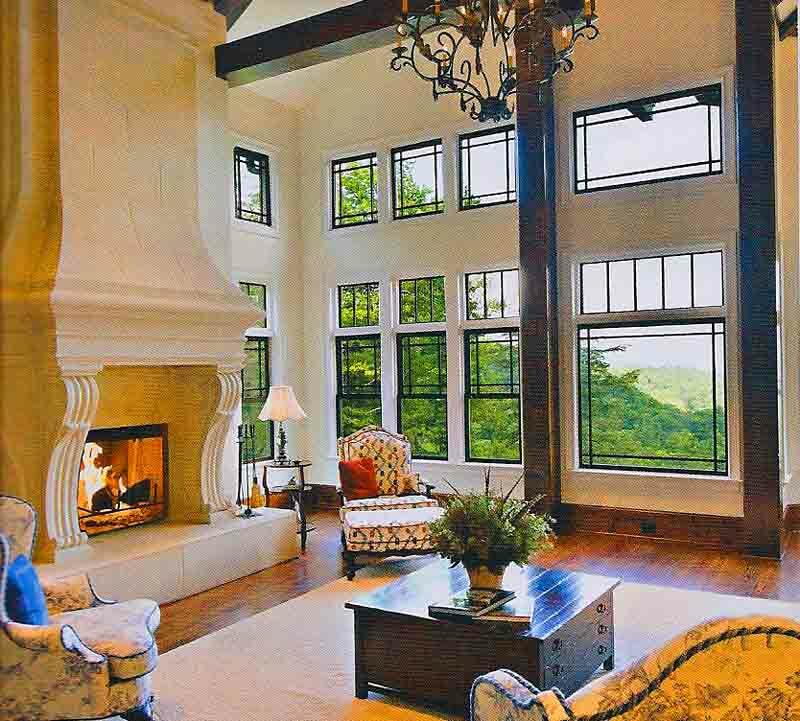 Architect: Rand Soellner Architect: mountain home architect, luxury house plans. Two-Car Garage Designed by Rand Soellner Architect: residential design, castle residential architects. Pantry-Laundry area popout designed by Rand Soellner. Entry to Mountain House Designed by Rand Soellner : Arts and Crafts Architecture. 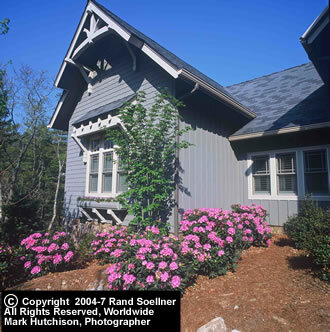 The materials used blend well with the environment and this Arts and Crafts architecture community: faux slate roof tiles, stone and white pine wall siding, low-arch Arts and Crafts style windows and doors, steeply pitched roofs with the architect’s bracing and bracketry and timber frame truss treatments, deep porches and overhangs to deal with this Alpine rain forest climate.